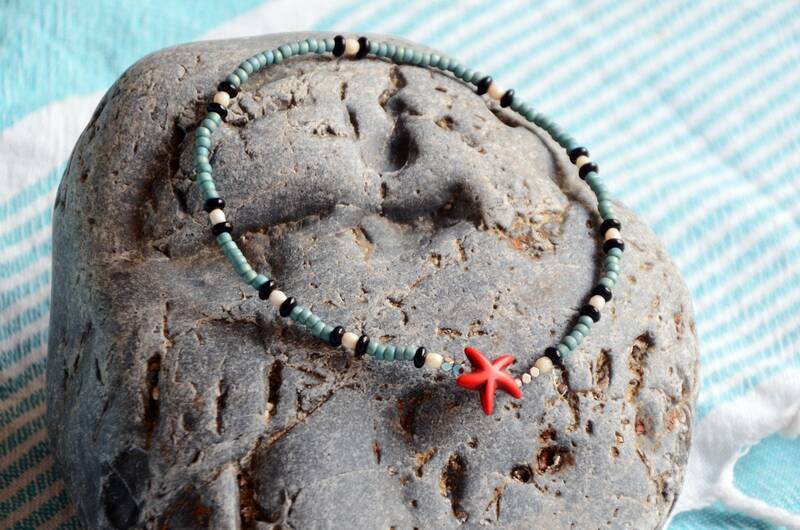 Bohemian and summer ankle bracelet with turquoise beads and a pretty red starfish. 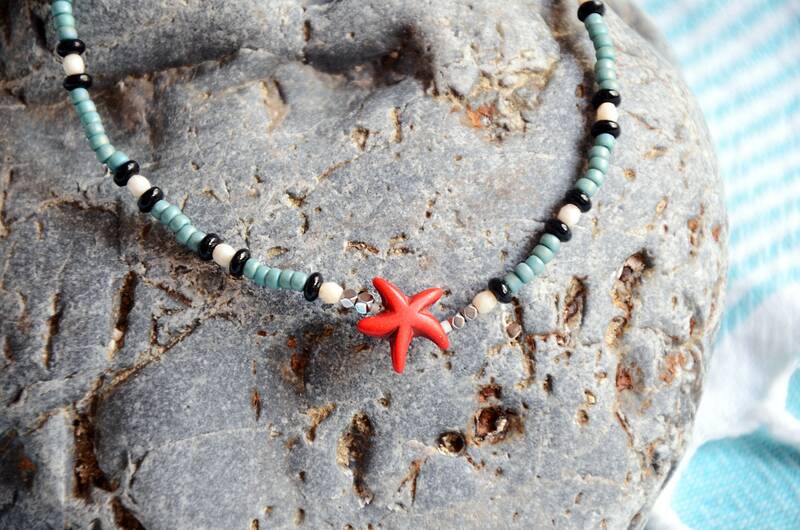 This jewelry is mounted on an elastic silicone very resistant (easy to remove and snap on). Materials : Glass beads. 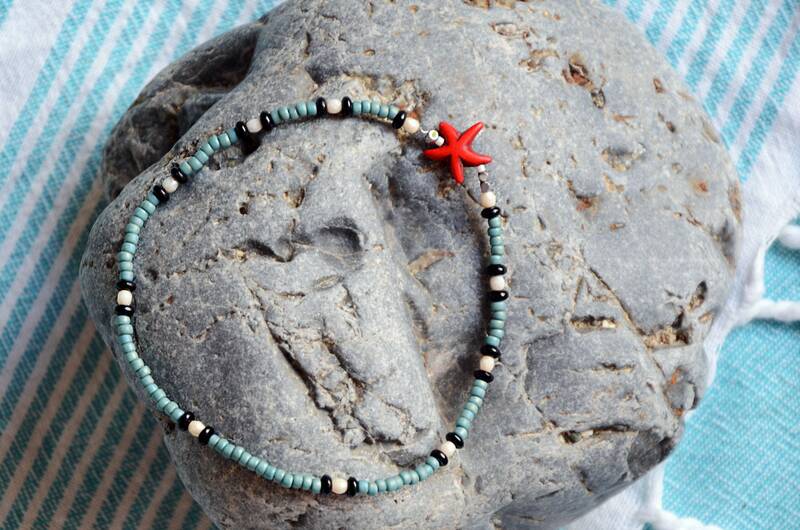 Hematite beads. Starfish in synthetic resin.